It has been a wonderful journey to witness so much talent and creativity in all the contestants, each has their uniqueness and characteristics. The panel of judges has derived in a decision to select 12 instead of 10 Finalists after the semi final on July 28th. The final event to crown the 1st Face of VoguE will take place at Patch Thibaud Auditorium on August 11th, 11am (slt). 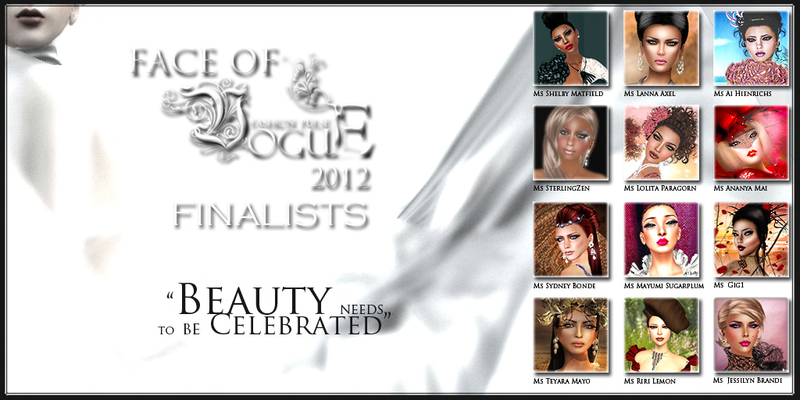 Once again congratulations to the 12 Finalists. The details about the Final will soon be announced inworld.